In January Deseret News ran a story titled, “LDS Church terms no longer in use.” The article listed some of the old names and abbreviations the Church once used, but which have become outdated as the Church has made changes. For example, 10- and 11-year-old girls in Primary used to be called Bluebirds. Their boy counterparts were Trekkers. The Sunday School program was once known as Deseret Sunday School Union, and the Ensign magazine was once the Improvement Era. King Benjamin. In two places in the Book of Mormon, the king formerly known as “Benjamin” is now called “Mosiah.” On page 200 of the 1830 edition of the Book of Mormon it is said that king Benjamin had a gift from God to interpret engravings. In the modern edition of the Book of Mormon, it is king Mosiah who had the gift (Mosiah 21:28). Likewise, the 1830 Book of Mormon states that king Benjamin kept the writings of the brother of Jared away from the people until the appointed time (page 546). In the modern rendering of Ether 4:1, king Mosiah carried that responsibility. It is unknown why king Benjamin was changed to king Mosiah, but according to Book of Mormon chronology, at the time of these reported events king Benjamin was dead; Mosiah was his successor. The Angel Nephi. 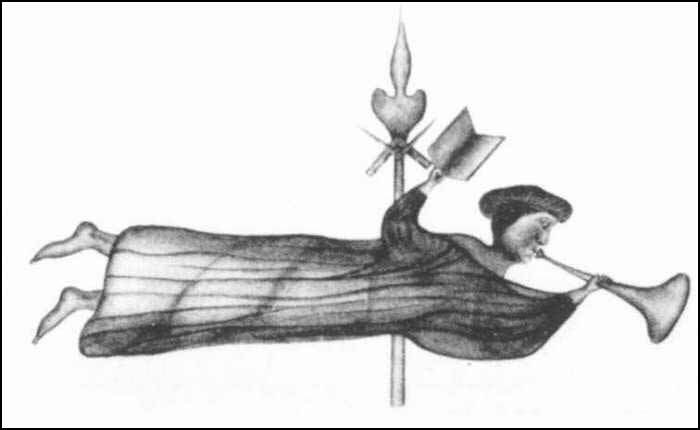 Joseph Smith’s official testimony states that an angel named Moroni appeared to Joseph in 1823 and subsequently led him to the gold plates which were eventually translated and published as the Book of Mormon. 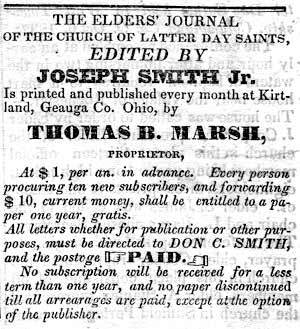 However, as this testimony is found in the 1851 Pearl of Great Price (page 41) and volume 3 (page 753) of the Mormon periodical Times and Seasons (April 15, 1842), it was reported that Nephi, not Moroni, appeared to Joseph Smith. This is one of the areas that interests me about Mormonism: There is a consistent charge that the Bible is errant, mistranslated, changed duringthe 1st/2nd century, etc. These charges are commonplace today although there is no evidence, no empirical support of them. In fact, the historicity of the bible, the most heavily scrutinized book in all of history, is undeniably strong. For the Bible, we have more manuscript evidence by far and away than any other writings of antiquity. we have fragments of the NT from the early 2nd century that are a match, and we can create nearly the entire NT from the writings of the early church fathers. We have the dead sea scrolls dated before 100BC which match very nearly identically to the letter with the bible we have today reads. The Great Isaiah Scroll is dated to be as old as 300BC. The Book of Mormon contains extensive quotes from Isaiah – some twenty-two chapters of Isaiah are found in the BoM, in many cases quoted verbatim from the KJV. What is less well known is that the Book of Mormon makes a large number of unacknowledged Biblical quotes. These quotes are integrated into the narrative of the Book, and are quoted by different authors at different times. On the other hand, Mormons don’t seem to want to hold the Book of Mormon to the same standard. I believe there are some 4,000 known, recorded, and proveable non-grammatical changes in the BoM from the original writing to what we have today. If the BoM is “the most correct book on earth”, why were so many changes required? Then you have the non-existent ancient egyptian “language” it supposedly came from, the missing first 116 pages that were never “retranslated”, the Book of Abraham problem, the complete lack of archaeology, the DNA issues, and on and on. Sure, Mormon apologist have answers for all of these answers because the BoM MUST be true, but having answers and having good (true, reality based) answers are two different things. While your points are well taken, I think you need to understand the concept of “progression” within the Mormon system. Things do not change, they “progress”. You see, the Mormon god is constantly revealing more of himself to the prophets and seers of this restored religion. Precepts, commands, even factual information are subject to new updated forms. Things are never settled, they are incomplete. That’s why there is no such thing as inconsistent doctrine or teaching. That’s why there is no systematic theology. It’s a fine tradition. It was rightly stated by Walter Martin that Mormonism is a maze. But the practice of progressive revealation allows for the maintenance of belief among the faithful and allows for creative truth. I believe there are some 4,000 known, recorded, and proveable non-grammatical changes in the BoM from the original writing to what we have today. A point of clarification. Over 4,000 changes have been made in the Book of Mormon since its initial publication, but most of them are grammatical in nature. Even so, many of the changes are of doctrinal and historical significance. I am familiar with progression, but what about contradiction and “divine mind changing” within progression? Do Mormons therefore accept that God changes his mind as if there was something God didn’t know before, or wasn’t sure about? Therefore, his characteristic of omniscience would also be false in this model of “progression” would it not? If so, we have a problem, in fact the idea of progression when it comes to the mind of God falls on its’ face doesn’t it? I’ve also seen this with the Mormon prophets. They have continuously contradicted each other over the years and/or retracted big time church doctrines such as black priesthood, blood atonement, earthly polygamy, etc. If they are TRULY speaking for God on doctrinal issues (sure, they are fallible humans, but on doctrine?) then how can they blantantly contradict each other so much? This is one of the several reasons why it would be impossible for me to ever accept Mormonism as true. Sharon, thanks for that. So most of them are grammatical but many are doctrinal. That makes sense, I am not sure why I wrote non-grammatical. Even still, if JS really did translate these words from divinely-given golden plates using a God-given gift, why all of the mistakes (FOUR THOUSAND??)? What is the typical Mormon response to this? Fletcher, it certainly gets more complicated for Mormonism when one considers the earliest evidence of the transcription process of the Book of Mormon. The specifics of the process were essentially reading and dictating and word for word transcribing—while Smith looked into a hat and gazed into a seer stone without the source document even needed. When Mormons use the term “translation” they cloud this up. The Mormon Church continues to perpetuate false notions of the “translation” process to this day in church-published literature. For more on this I recommend chapter 1 of An Insider’s View of Mormon Origins, by Grant Palmer. I like that “divine mind changing” term. Never heard it put that way. This is really the genius of Mormonism. How can Mormonism be pinned down on anything when everything is subject to change. There can be no errors. There are just updates. This is seen by Mormons as a real attractive feature of their religion. To us, it looks flakey on the one hand and dishonest on the other. This deal with the magic stone in the hat is kind of a neat way to translate ancient text. The fact that the Mormon god confirmed the correctness of the translation and then it ends-up having over 4,000 errors is troubling. Can’t figure out how that happened. How could you not mention that the D&C used to be called The Book of Commandments? Granted, it does lampoon all things Mormon (it used to be called latterdaylampoon until an impending lawsuit changed things). However, it contains alot of old cowboy/Mormon words (the “dicitonary” borrows heavily from DAW – Dicitonary of the American West). You can also contribute. Here is something for LDS to think about. King Benjamin. In two places in the Book of Mormon, the king formerly known as “Benjamin” is now called “Mosiah.” On page 200 of the 1830 edition.